THCleaner offers the most effortless way to clean your smoking devices (glass, metal and acrylic) - there is no scrubbing or shaking required! Simply soak the item you intend to clean in undiluted THCleaner and then wait until THCleaner has done its job, then rinse thoroughly with hot water. 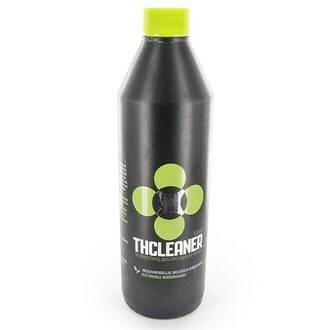 THCleaner is reusable (up to 3 times) and biodegradable. Wash hands after each use. Content: 500ml.